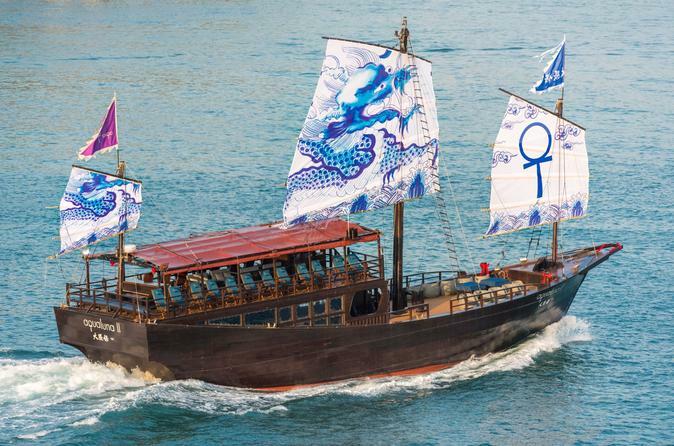 Visit Hong Kong's Lamma Island with a boat transfer on the Aqua Luna. After the 75-minute ride, you can enjoy your free time on the island by strolling along the family trail from Yung Shue Wan or relaxing on the beach. Admire the green hills, visit a fishing village, or enjoy a seafood lunch (activities and food at your own expense). Select a one-way or round-trip transfer when booking.